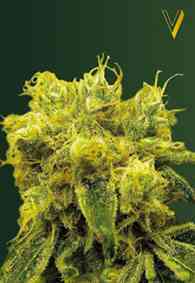 Aka Black Domina: If you are searching for a pure Indica hybrid, Dark Domina will be a good choice for you. It is a cannabis strain made by selectively crossing Afghani Indica x Canadian Ortega with Northern Lights x Hash Plant. The indica heritage brings out the broad fan leaves, a tight and compact flower structure with short internodes. The flowers are heavy and dense with a rich sweet-spicy hash fragrance. Because of the high calyx-to-leaf ratio this variety is easy to manicure. With Dark Domina you can expect good yields.